We have now run out of chilli plants – so that is it until next year! 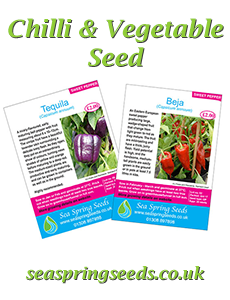 We sell attractive, edible chilli plants grown in 1 litre pots over the summer months. The plants are sent out by first class post, individually packed in “blister packs” made specifically for the job. The packages will not fit through a letter box, so if delivery might be an issue please leave a note for the postman. Remember they MUST not be left in the sun. The delivery and packaging cost (£4.50) of each plant is included in the price. There is NO EXTRA SHIPPING COST.